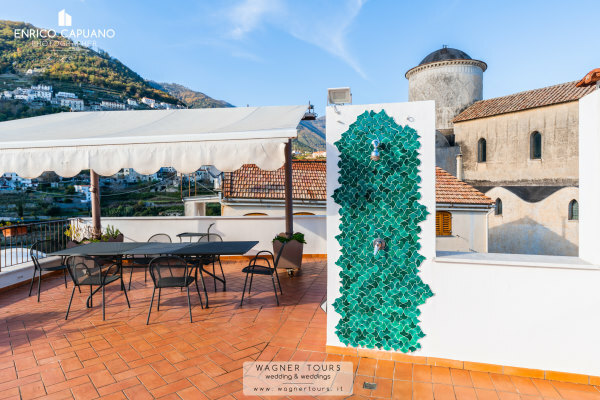 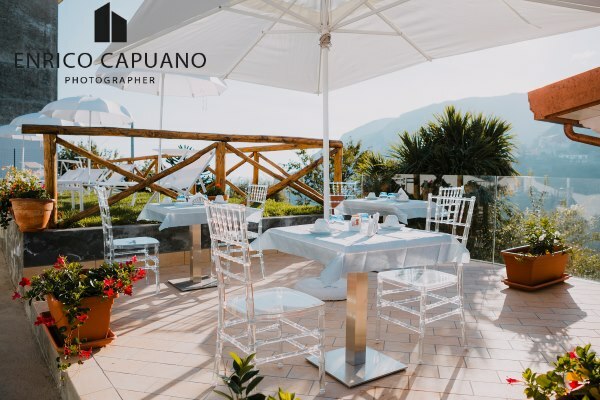 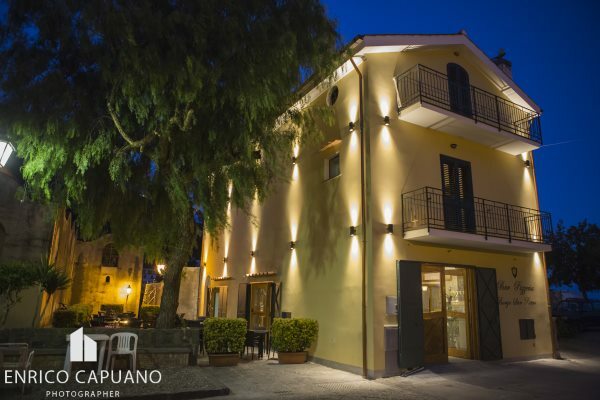 A wide choice of quality hotels and Bed and Breakfasts in Ravello by Wagner Tours Wedding and Weddings - Ravello - local company - Our office is located in Ravello, best assistance on site for: Accommodation, transfer on arrival and departure, Excursions and MORE !!! 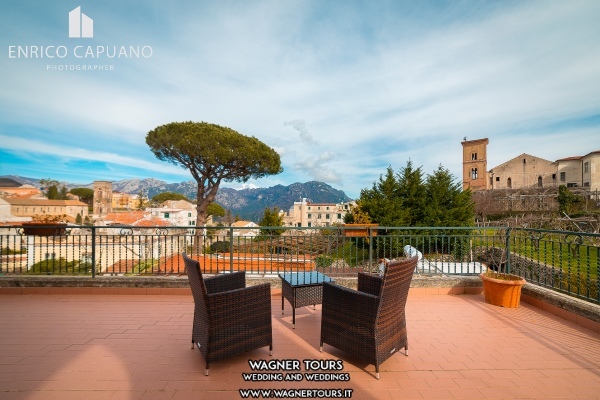 Wagner Tours is more than just a wedding company, we have spent years to be ready for You . 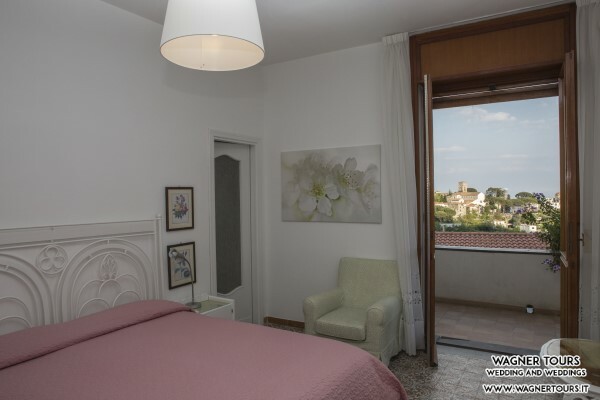 This is just a glimpse of the relaxing and pleasant stay that awaits you at Villa Maria, the totally refurbished historic building that was originally a Roman nobleman’s retreat. 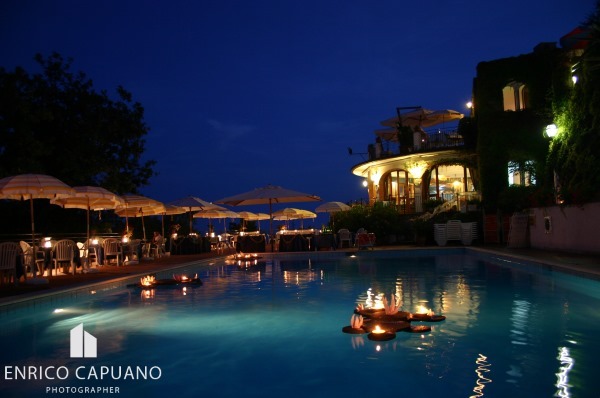 Today the Villa boasts a distinguished Liberty and Art Deco ambiance with original Vietri tiles and Murano glass lamps. 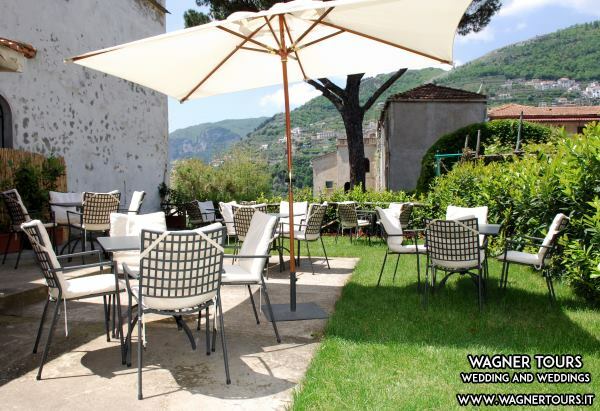 The Giordano's sun terrace is shaded by centuries-old magnolia trees, and equipped with sun beds. 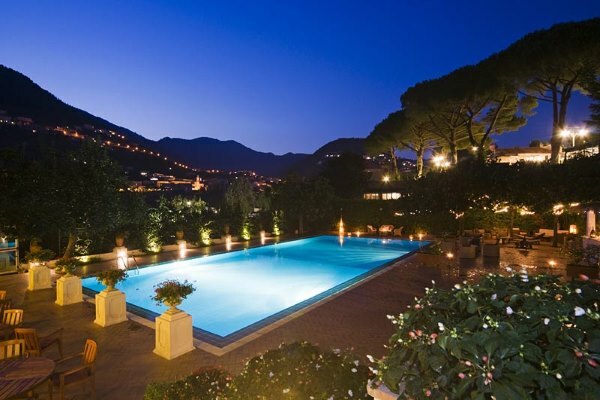 The swimming pool features anti-slip tiles and whirlpool. 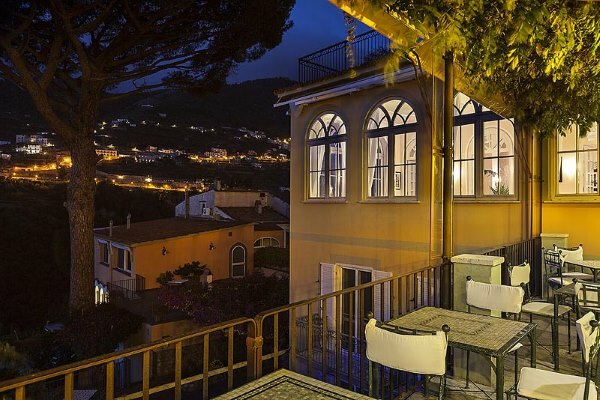 It iselegant and refined, featuring antique furniture original paintings and colorful majolica tiles from Vietri. 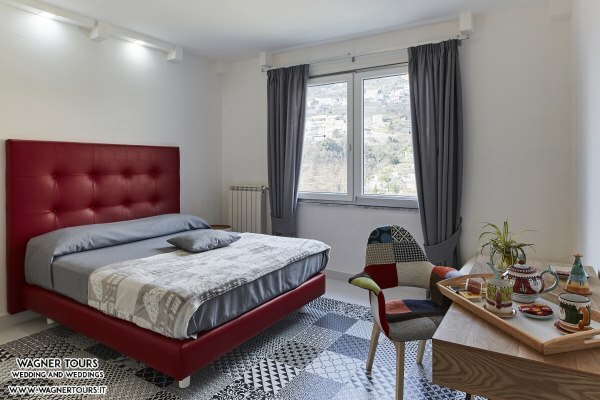 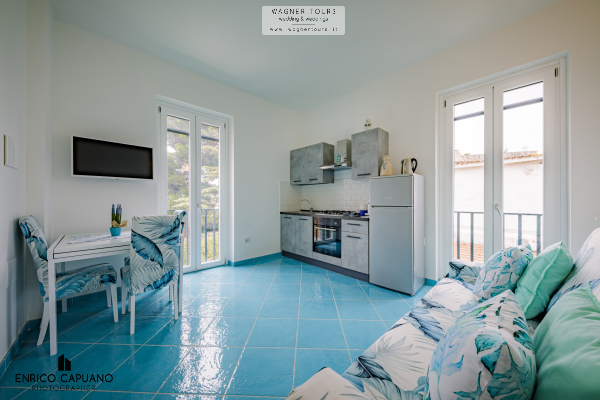 The Trinity apartments, ( 2 units) are both spaces decorated in a modern and functional style, giving importance to small details in order to offer a comfortable holiday house that can meet the needs of guests. 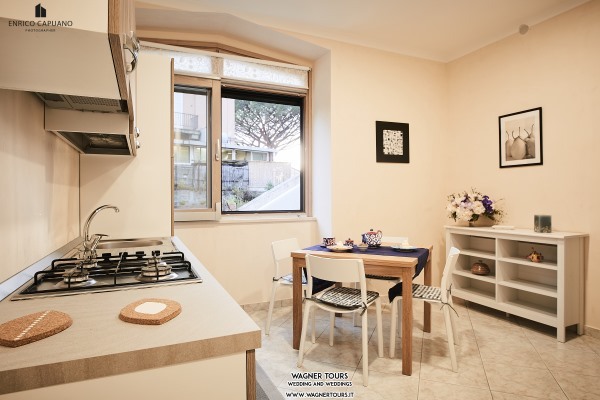 The apartments are composed by three rooms: living room with kitchen and sofa bed, double bedroom and bathroom with shower. 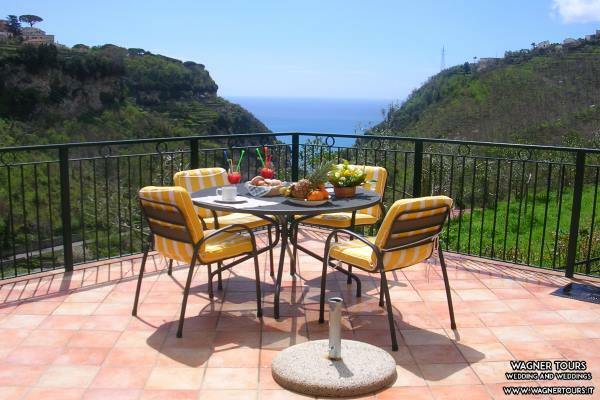 Suitable for a maximum of four people, they have independent entrance and garden. 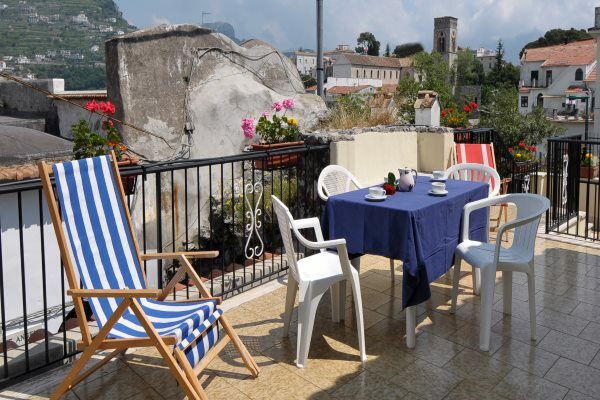 In the charming historic centre of RAVELLO, on the Amalfi Coast, the small complex of rooms for rent The Rosary “IL ROSETO” is set in a quiet and fascinating area. 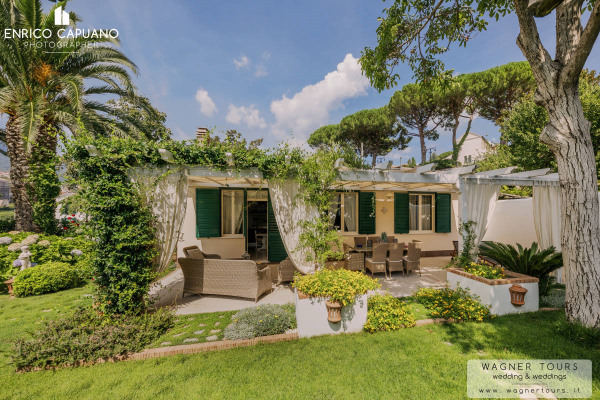 Il Roseto is built among rose gardens and orchards cultivated with lemon trees. 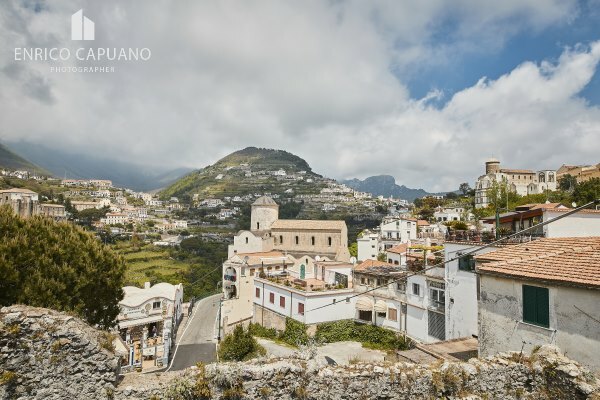 It is only 60 metres far from the main Square of Ravello in a zone closed to motor-vehicle traffic. 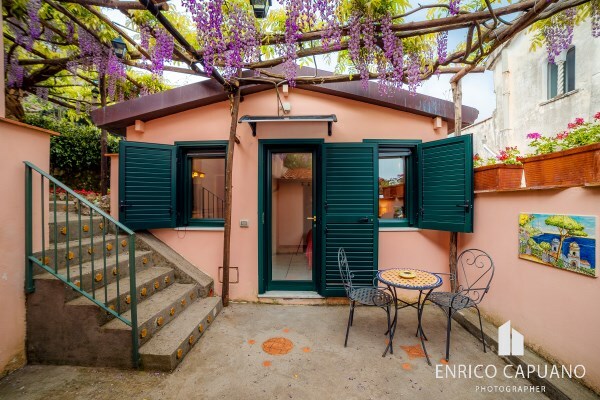 In the charming historic centre of RAVELLO, near the convent of San Francesco, the small complex of rooms for rent “ Mimi '' is set in a quiet and fascinating area. 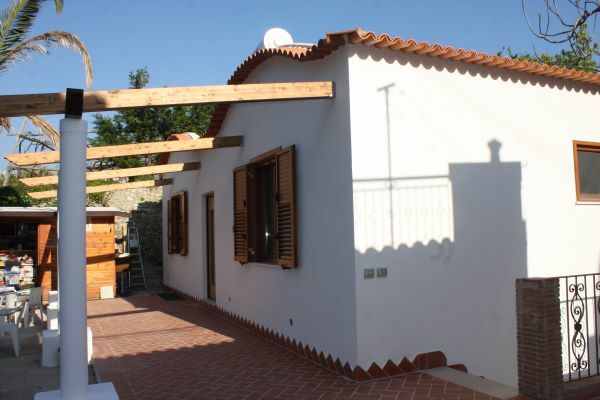 Mimi is built among rose gardens and orchards cultivated with lemon trees. 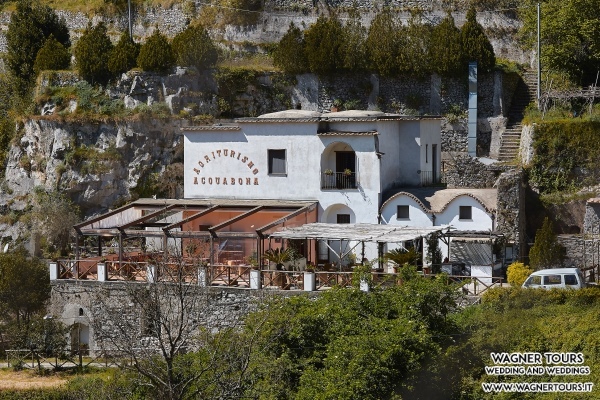 It is only 200 metres far from the main Square of Ravello in a zone closed to motor-vehicle traffic. 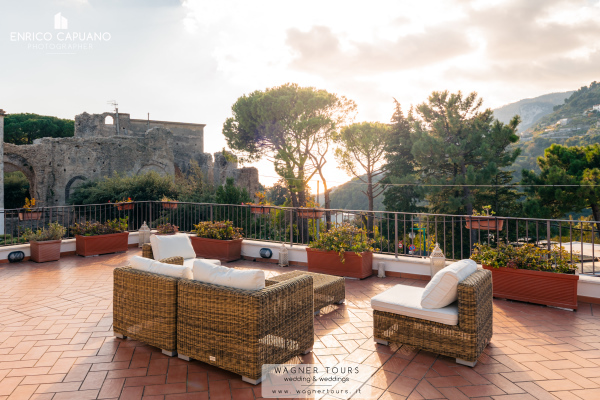 "La residEnza" It was built and perfectly integrated with the old town centre of Ravello, plunged in a well-finished and wonderful garden. 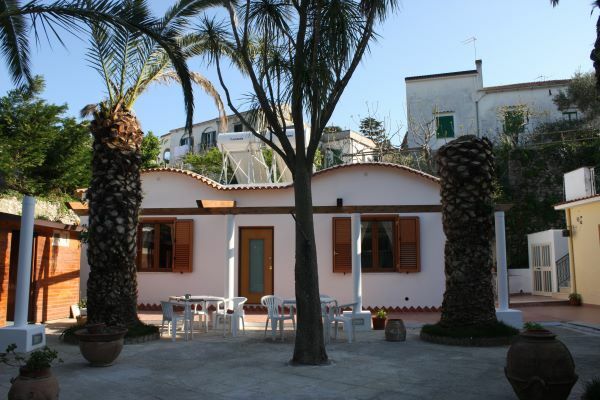 Respecting its tradition we have preserved lemon trees, palm trees, the big pine and the centuries-hold olive tree. 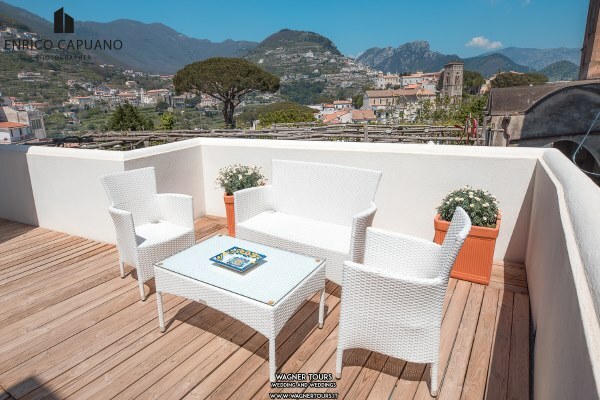 Gianfi is a simply but elegantly furnished accommodation housed on the 1st floor of a medieval building situated in the historical center of Ravello . 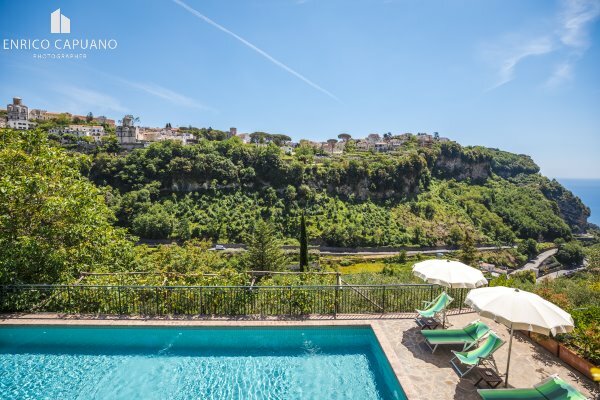 The house is equipped with a delightful terrace with view on the Villa Rufolo. 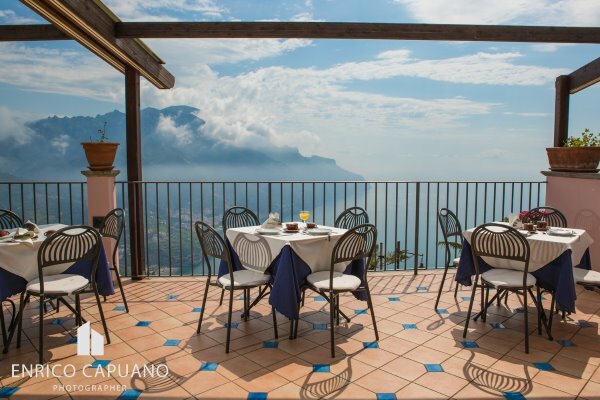 Gianfy is located near the main square of Ravello ( 15 meters), on the way to Villa Cimbrone.. 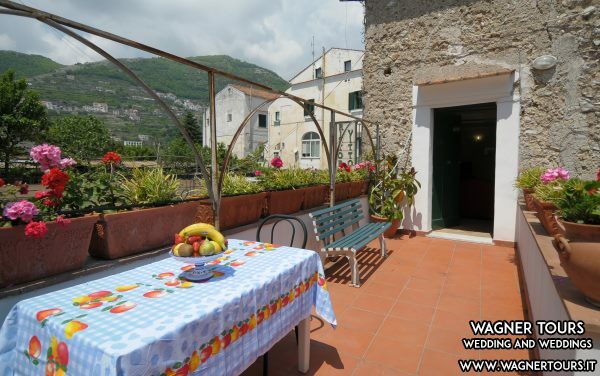 The Villa is located Scala ( only 3 Km from Ravello ) HOUSE VACATIONS VILLA LAURA ( 4 apartments) - the Rental is admited ONLY for the entire Villa Saturday to Saturday. 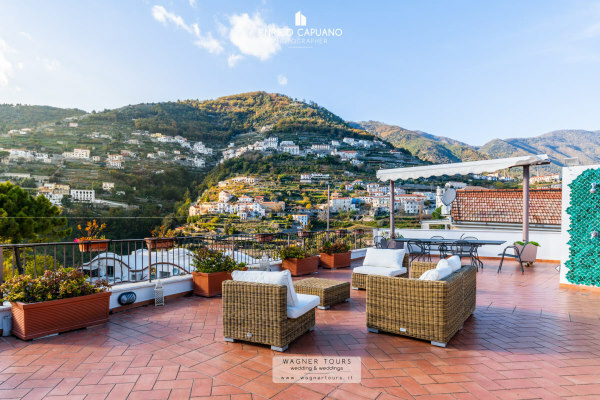 Villa Laura is a recently restructured property, lying in a very enchanting position with a spectacular view of Ravello and of the Amalfi Coast.Villa Laura is a structure, recently renovated, ideal for family or friends. 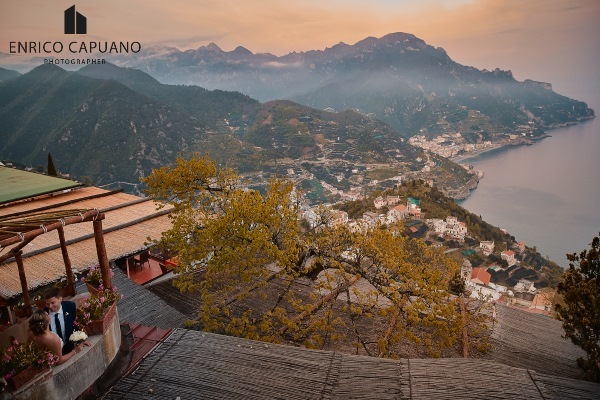 Just 3 Km from the centre of Ravello in the town of Scala,- in one of the most beautiful places in the world protected by Unesco -Casa Mansi - Holiday House :After a comfortable and cozy night's sleep, the view on the aristocratic Ravello is the first thing you see when staying at the "Residence Casa Mansi", the holiday house set in Scala, the oldest town of all the Amalfi Coast.